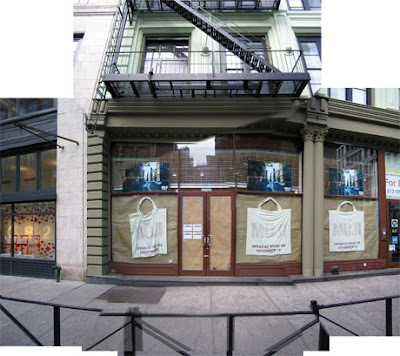 My friend sent me this email a couple of days ago about the opening of the new MUJI store in NYC. Okay, so I know I love the MoMA store but this is WAY better! Oh GOD, you must be so excited. Did you ever go the one in Europe? I have an old crusty planner from 1998 I got from there when I was in London 10 years ago. I'm dying here, and it's not even in my city. Will you go in there and just take pictures, write down how it smells in your blog, call me and put the phone to the air so I can listen to the sound of affordable, beautiful wonders of consumer design - and the happy people loading their carts with the stuff? I'd appreciate it.